NASHVILLE, Tenn. (Jan. 24, 2014) – Chart-topping country artist Randy Houser’s fresh new music video for his latest smash single “Goodnight Kiss” premieres exclusively across CMT platforms today. Directed by Wes Edwards, the video was filmed at the historic Fontanel Mansion in Nashville and is the grand finale to a trilogy following the development of young love in couples who also starred in Houser’s previous videos for hit singles “How Country Feels” and “Runnin’ Outta Moonlight.” Both videos topped CMT’s “Hot 20 Countdown” in 2013. Click here to watch “Goodnight Kiss.” For behind-the-scenes footage from the video shoot at Fontanel, go to http://smarturl.it/GoodnightKiss-BTS. Country Music News Blog participates in advertising programs that help fund the operation of this site. For more information please visit our privacy statement. 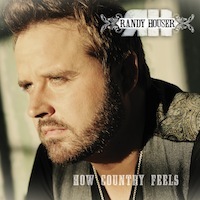 This entry was posted in News, Randy Houser by Country Music News. Bookmark the permalink.